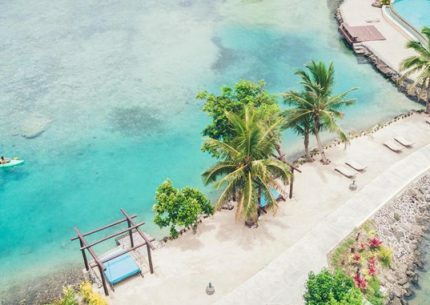 Feeling stuck on what to pack for Fiji? Packing for an island paradise calls for more than a swimsuit, though we definitely recommend bringing one along. No doubt you’ll spend many days at the beach, but what about once you step out of the water? You also don’t want to find yourself severely over packed or worse, under packed. But what are the essentials and what are the things you should leave behind? Our Fiji packing list and guide on what to wear in Fiji break down everything you need for your vacation in paradise. Download and print this Fiji packing list. This is absolutely the most important thing you need to pack for Fiji! The sun in the tropics is quite relentless – it absolutely does not care if you are only trying to get a sun-kissed glow. The only glow you’ll get is lobster red if you don’t use sunscreen! Reef safe sunscreen is strongly recommended, as certain chemicals in many sunscreens are damaging to coral and reef systems. Make sure to reapply every 2 hours if you’re spending the day out in the sun. 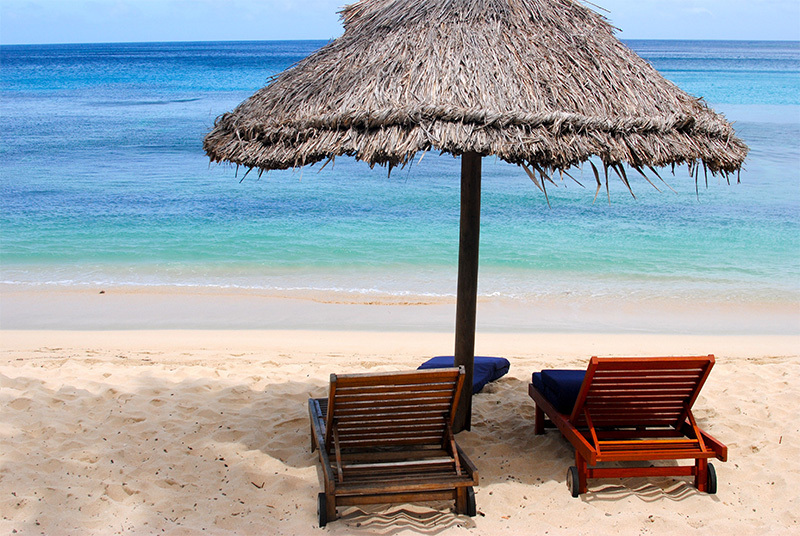 You may want to bring an extra bottle or two as sunscreen gets pricey once you’re in Fiji. A big, floppy sunhat is not only a stylish accessory to add to your Fiji wardrobe, but also great for sun protection. Remember to take your hat off if you’re visiting a Fijian village, as wearing hats in the village is considered disrespectful. Did you know your eyes can get sunburned? If your eyes are watering, itchy, sensitive to light or feeling dry after a day out in the sun, it’s very likely they are sunburned. Protect your eyes with sunglasses, preferably with UV protection. These are more common than you think! Nothing ruins a holiday like insect bites. Mosquitoes and sea lice are fairly common in Fiji, but are easily deterred by repellents. 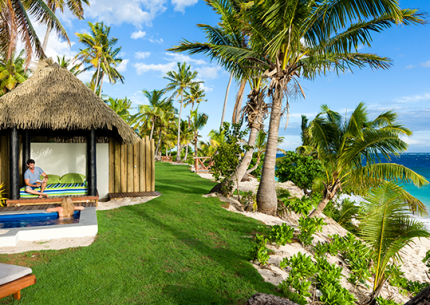 You’ll want to be sure to apply repellent at night, as this is when mosquitoes and bugs in Fiji tend to be most active. Some resorts do provide insect repellent on request, but it’s always great to have some handy just in case. Reef shoes are fantastic for protecting your feet against scrapes and cuts from sharp rocks and coral. Of course, you don’t want to stand on any coral or reefs as this is incredibly damaging to them. If you plan to visit any local villages or exploring hiking trails near your resort, you’ll want to bring a pair of good walking shoes. Remember that a lot of the hiking in Fiji is through lush jungle, so make sure you bring shoes you don’t mind getting dirty. Don’t forget to pack any prescription medicines you normally take! It’s also a good idea to bring over-the-counter medicines for those slight, unforeseeable emergencies, such as aspirin or other painkillers, Kaopectate for an upsect stomach, antihistamines for allergic reactions and motion sickness tablets. Sometimes accidents happen, and sometimes you don’t know how you ended up with that cut or scrape. Simple first aid supplies can be hard to find in Fiji, especially in the outer islands. Essentials like bandaids and alcohol wipes are often simple lifesavers. Hydrogen peroxide is also great for cleaning up any scratches from rocks and coral. A waterproof phone case is perfect for protecting your phone against any damage, especially accidental dips in the water. It’s also great for taking quick snapshots by the pool or beach. You’re in Fiji, surrounded by water – it’s better to be safe than sorry! 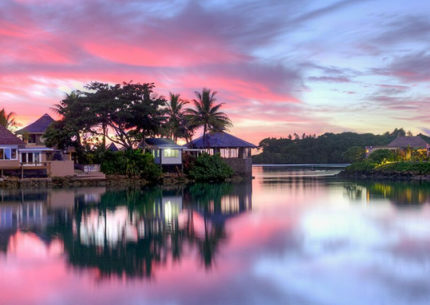 White sand beaches, crystal blue waters and tropical, lush gardens – you’re going to want to take so many snaps on your Fiji holiday. Pack a camera or better yet, an underwater camera, to take beautiful photos of Fiji’s spectacular landscapes both above and below the water. Fiji uses the same power outlet as Australia and New Zealand, which is different from the rest of the world. Keep your electronics charged with a universal power adapter which allows you to plug in your electronics to the outlets in Fiji. Some resorts shut their lights off in the evening, and if you’re out enjoying the beach by night you might find it a little difficult to make your way back to your bure. It may be a non-issue for most resorts, but packing a flashlight keeps you prepared just in case. Fiji is in the tropics, which means it sees many showers especially during the wet season (November – April). It’s best to come prepared for the odd shower, especially if you plan on hiking. Keep your important travel documents such as your passport, flight confirmations, hotel confirmations, trip vouchers and travel insurance secure. We recommend you keep extra photocopies of your documents in your luggage as an extra back up. Need a packing list for Fiji on the go? Download and print our Fiji packing list here. Here comes the hard part for most – the clothes! 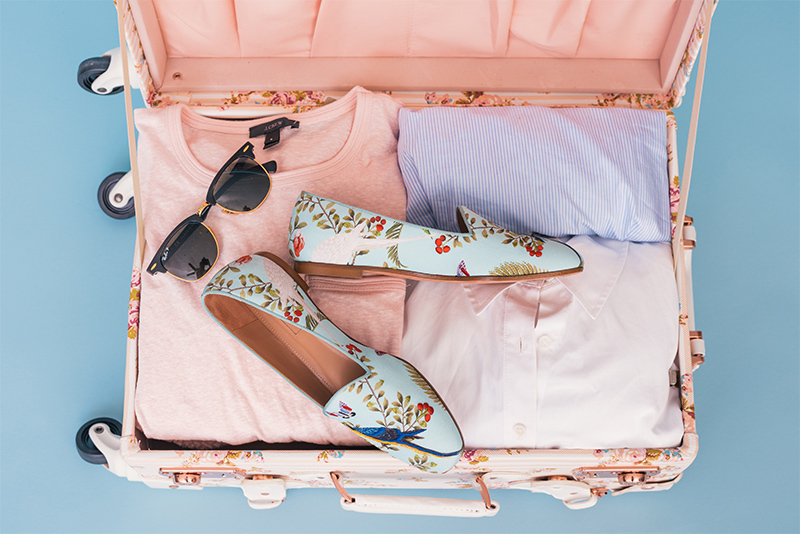 You don’t want to over pack, especially if your Fiji vacation contains smaller flights to resorts on the outer islands. These smaller planes only allow 33lbs of checked luggage, so meeting this limit is important. Here’s our guide on what clothes to pack for your Fiji holiday. You’ll most likely spend most of your days in your swimsuit. Bring along two pairs so you don’t need to worry about waiting for your swimsuit to dry in between swims. Pack a simple coverup for getting out of the pool or beach. This is also great for covering up while visiting the markets or a local Fijian village. It’s important to note that while visiting a Fijian village, women should always keep their shoulders and knees covered and men should always wear a shirt. Pack clothes made of light fabrics such as cotton to keep you cool and fresh in the Fijian heat and humidity. You’ll probably only wear them in the evening for dinner or on a visit to a Fijian village. Shorts are perfect for exploring walking trails and hikes around your resort. Women may like to bring a sundress that can double up as a cover up and dress for dinner. Bring a pair of flip flops for the beach (or use reef shoes instead) and a nice pair of sandals if you want something a little more dressy to wear at dinner. Though the weather in Fiji is mostly warm, the evenings can get quite cool from the ocean breeze. A light jacket or cardigan is perfect for pairing up with your evening cocktail or an outdoor dinner. The hardest part about packing is just getting started. But once you’re all packed, it’s smooth sailing from here! Safe travels from your friends at About Fiji!